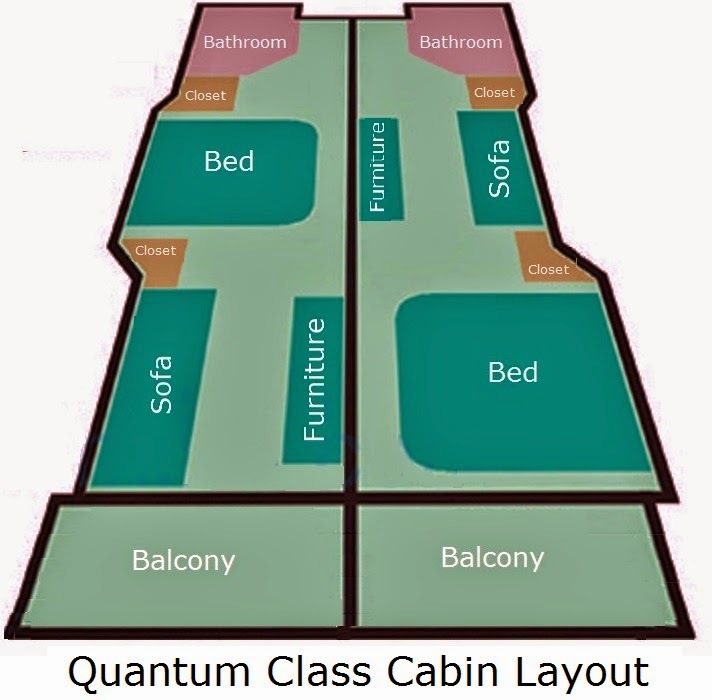 At my two cruises with Quantum of the Seas, I did stay in Superior Ocean View Stateroom with Balcony. 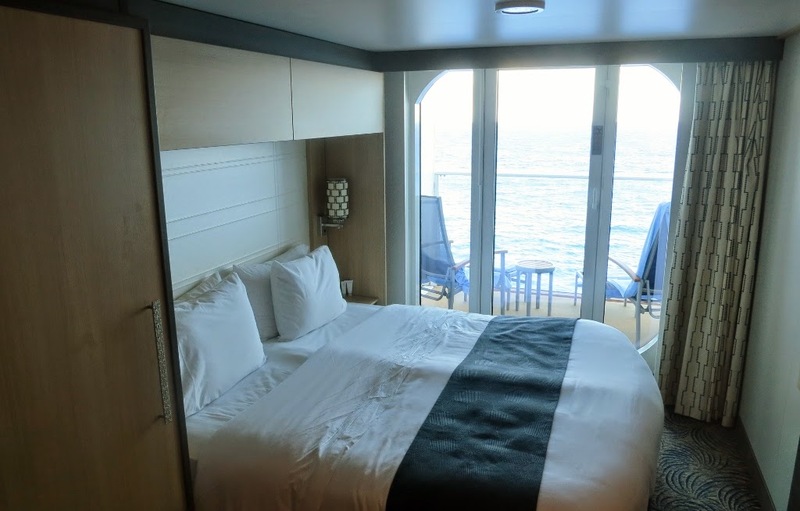 Cruise November 2, 2014 in #11610 (D2), with sofa bed, and For January 11, 2015 in Cabin #8604, (D8). 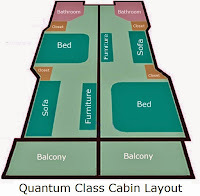 In 11610 the sitting area is at the 'balkony end' while in 8604 the bed is at the 'balcony end'. The space between the curtain between the windows and the bed in cabin #8604 is quite narrow. For storage there are two large closets and shelves above the beds and some drawers. Fine storage space, however, there are two hanging rails in one cupboard which is not suitably located. I do prefer the layout of my balcony #11610. Click on Stateroom map to view bigger picture.